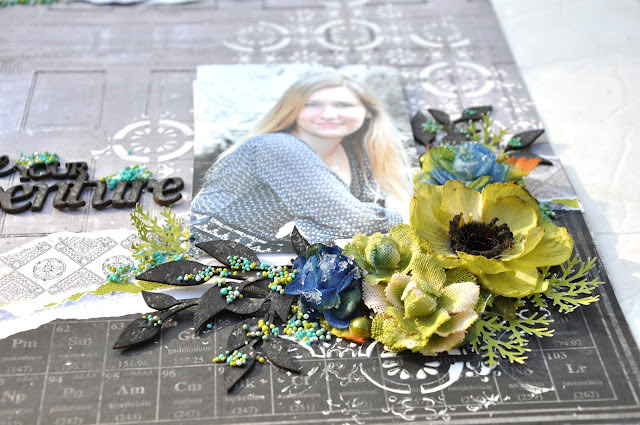 This is my last month as Guest Designer for 2Crafty. I've had a wonderful time working with extraordinarily gorgeous chipboard as well as the talented artists on the team for the past 18 months. 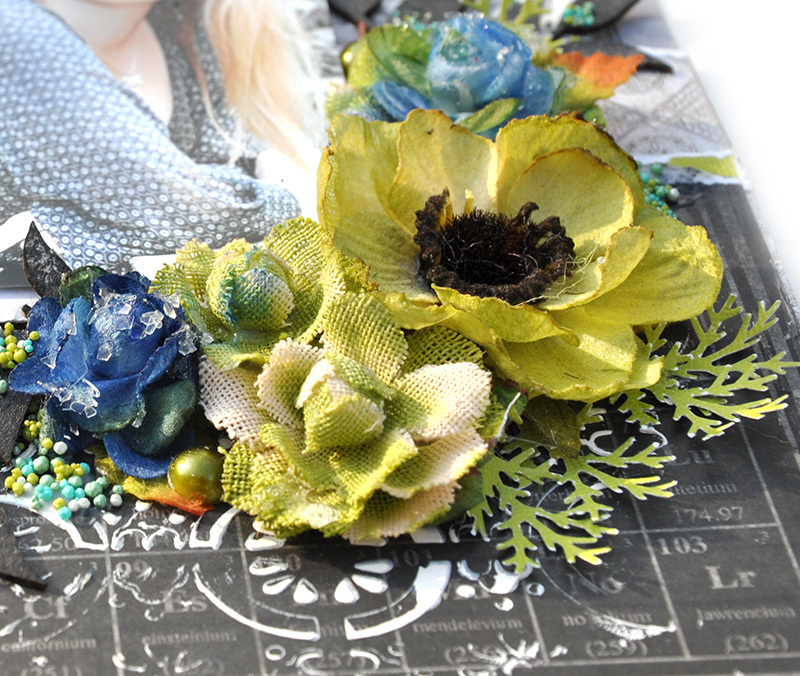 One thing I have always loved doing ids showcasing the chipboard in conjunction with my Flying Unicorn pieces. Today is no exception. 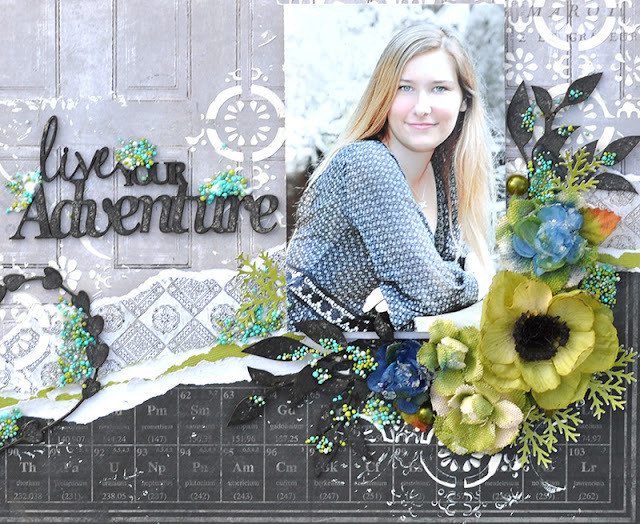 I created a layout using the fabulous Flying Unicorn kit for the month of June - packed with Prima goodies and much more. This layout uses 2Crafty "Frame Heart String " fr0090 as the main corner decoration as well as "Live Your Adventure" and " Leafy Twig Branches". I kept them all simple as far as treatments go - inked black to pop on the page. 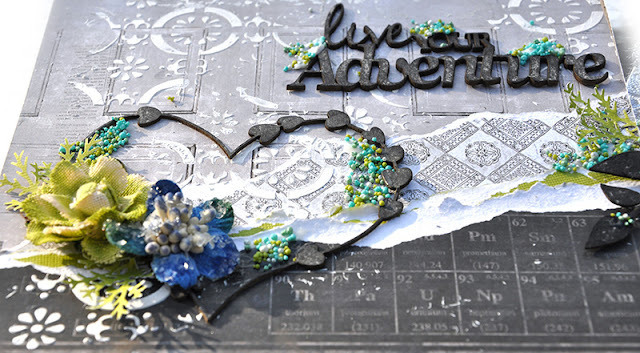 "Framed Heart String" :Leafy Twig Branches" "Live Your Adventure"
The chipboard and page also have micro beads here and there adorning them. The microbeads came from the kit, and they are so cool - from US Art Quest and they are called Mini Prills. Thanks for stopping by and following the creativity at 2Crafty and at the Flying Unicorns. Thanks for stopping by to look. Hurry and grab your Flying Unicorn kit soon before they are gone. If you have missed out, I am sorry. The kits do fly off the shelf super fast. One great way to prevent this misfortune is to pre-order your kit. Yes it's true that you can pre-order and never miss out on the kit that you desire. Pre-order starts the 20th of every month, for 48 hours only. You get to see the entire kit offerings and decide if it's something that suits your style - all at no risk. All the details are here. 2Crafty Chipboard "Live Your Adventure"